Although we are all in the same country, there are many differences and nuances when it comes to the property market from state to state. These differences are wide and varied and range from different laws, culture and even climate. Let’s start with the big picture and Urban Sprawl. Brisbane is not as expansive and wide ranging as our southern cousins like Sydney and Melbourne. The urban sprawl in these capitals are far wider reaching and I have seen many an investor come unstuck because they think properties 20km from Brisbane will perform like properties 20km from Sydney or Melbourne. In fact, once you get past that 10-12km ring in Brisbane, you lose a lot of the key drivers for capital growth. On one side of the equation there is a large supply of vacant land out around that 20km ring mark. In some areas like North Lakes, Springfield and areas toward Ipswich for example, I have heard quoted another 5-10 years left of building supply! On the demand side of things, there are no major employment hubs, so demand for housing is less and as a result wages and incomes are below average. Public Transport and infrastructure projects are few and far between, leaving heavy periods of traffic at peak hour, which will only get worse over the next decade as we have another 500,000 cars on our roads. There is also a lack of high demand school catchments and lifestyle precincts which are steadily becoming secondary drivers of capital growth. 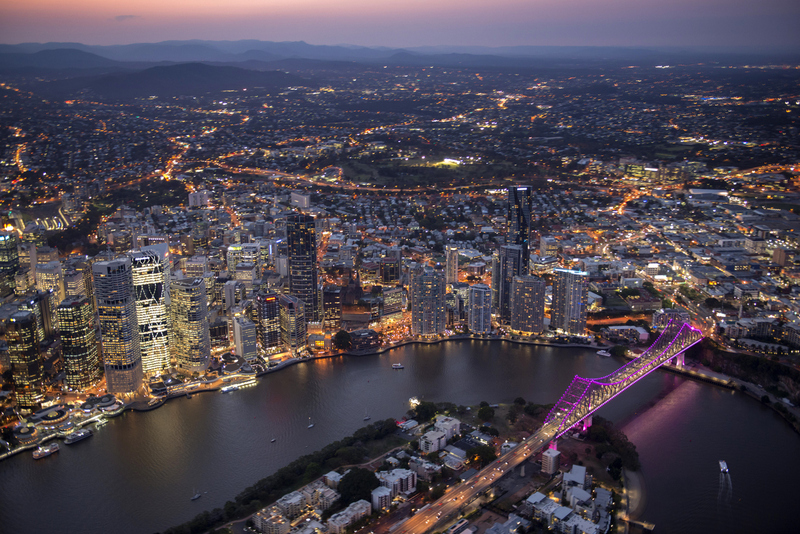 The process of buying a property is Brisbane is much more “buyer friendly” and less cut throat than other capitals. For starters, other than at Auction, a 5-day cooling off period is available upon entering into a contract. In most cases, a building and pest clause is also a normality, usually between 7-10 days is acceptable. This allows you to ensure there are no major issues with the property from a structural perspective and the property is free of termites which are prevalent in most of Queensland. If there are any major issues, you can withdraw from the contract and your initial deposit will be refunded in full. Likewise, a two-week finance clause is also common practice. Although we strongly recommend having pre-approval in place prior, this allows a valuation to occur. If the valuation is not acceptable or if finance is not achievable, you may again exit the contract and have your deposit refunded. Probably around half as many properties go to Auction every weekend in Brisbane when compared to Sydney and Melbourne. While the Auction culture is certainly growing, it is more prevalent at that higher end of the market or for specialised properties. The ‘multi offer” scenario fills this void and it can be much tricker to get a handle on, here is how it works….. If you start to negotiate on a property and a second party (or more) show an interest, all negotiations will stop and all parties must put their best foot (offer) forward. You only get one shot at it, usually within 24 hours, all offers will be presented to the seller to decide. All conditions become negotiable, the price, building and pest clause, finance clause and the settlement time frames. The difficulty comes when deciding on your final price, knowing it is a best and final type scenario. You don’t know if the next offer is more, $500 less or even $50,000 less, this is where professional assistance can save you thousands! Buyer BEWARE: Brisbane floods and has a lot of storms! The most obvious and first thing we look at when considering a property is if it has ever flooded or is at risk of flooding. The Brisbane City Council has several resources available at the click of a button to answer these questions for you. While it may be tempting to be lured in by a cheaper price, it comes with a high risk as we saw in Brisbane at the start of this decade. For this reason, in my opinion, it is a deal breaker if you are looking to grow an asset base. A lesser known problem is stormwater runoff, or what they call “overland flow”. 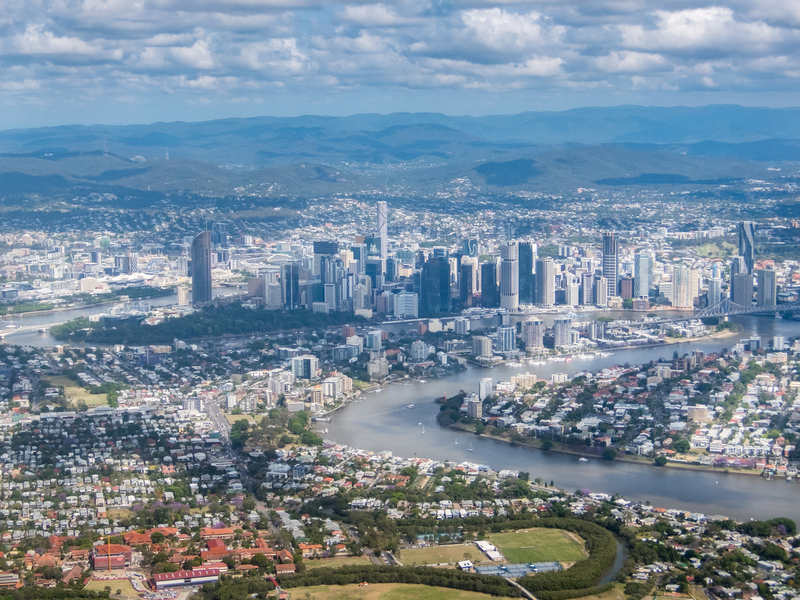 Inner Brisbane is fairly undulating and there are many hills, valleys and steep slopes and for this reason stormwater runoff can be a significant issue for some properties. While this is generally not a deal breaker in most cases, it is something you need to be aware of. If undertaking a development or a significant re build or renovations, it may increase your costs to ensure the property meets the council’s requirements for properties affected by overland flow. I have seen many property “experts” miss this as part of their due diligence. Our climate plays a big part of the way we choose to live here on Brisbane. Properties that attract a premium generally have a combination of open plan, indoor to outdoor living. The kitchen and living spaces are open and flow out to a large deck or backyard where there is seamless flow between the indoors and outdoors. Throw in a pool, a built in BBQ and an esky full of ice cold “drinks” and you have got me, along with most Brisbanites. If this type of property is not already on your list it needs to be strongly considered, as people will pay a premium for it. If the property you are looking at does not offer this type of living, you need to ask yourself if there is a way you could transform the property to bring these tick boxes back into play. Opening up a living area, adding sliding doors or building a deck can change a property that is in low demand to a property in high demand by bringing the outdoors in. It is almost another room of the house and most certainly is a focal point for entertaining family and friends. While each state had differing laws, culture and even climate, it is important to understand these differences prior to entering into a market. That is why it can be difficult even for property expert’s interstate to come to Brisbane and be expected to understand some of the points we have discussed. What may seem like a run of the mill transaction in some parts of Australia may be completely different here in Brisbane. 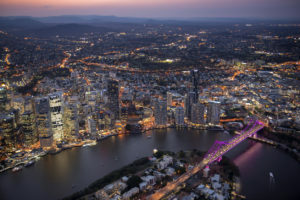 Also, while a style or a property with certain characteristics may also be in high demand somewhere else, may be entirely different here in Brisbane. There are many boxes to tick to ensure you get it right, some you may not have even considered.